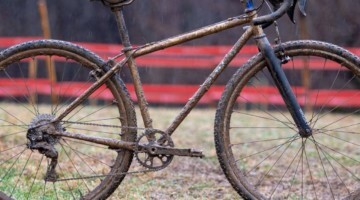 Our series of U.S. Cyclocross Nationals bike profiles has looked a lot of Championship bikes so far. 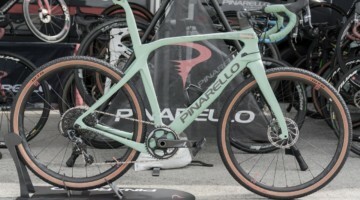 However, sometimes other must-see bikes caught our team’s eyes during our week in Reno. 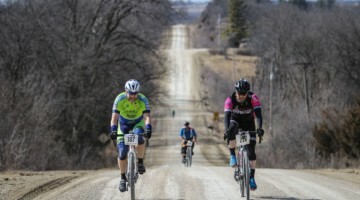 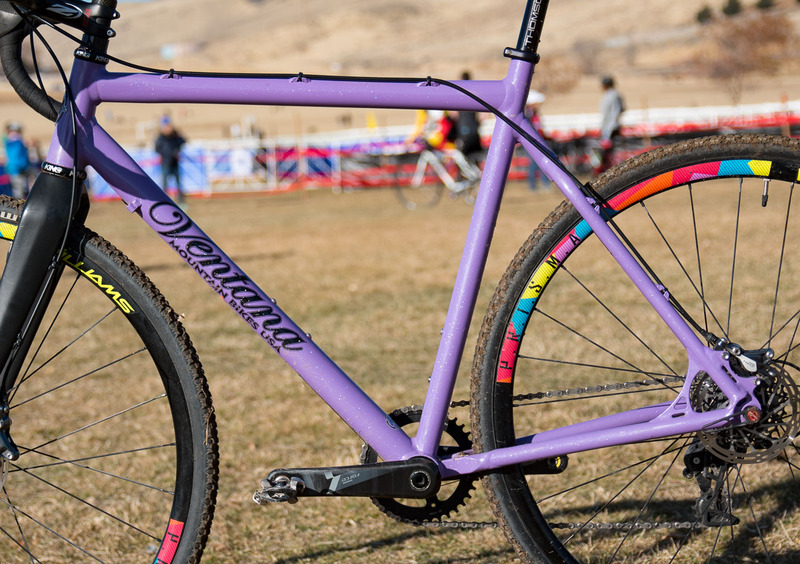 One of those bikes was the purple Ventana El Martillo CX bike of Hope Crockell that she raced in the Women’s Junior 13-14 race on Saturday of Nationals week. 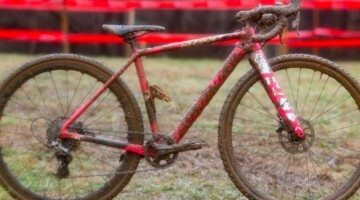 Although she did not join winner Katerine Sarkisov on the podium, her Nationals bike still put on a good show. 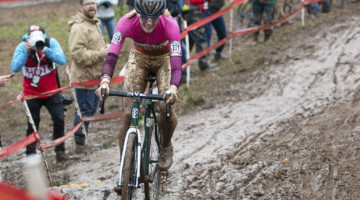 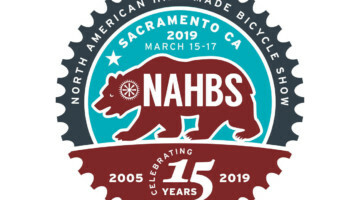 Hailing from the Sacramento area, Crockell and her older sister Cayla—who rode a teal Ventana in the U23 Women’s race on Sunday—have a ten-year sponsorship deal with the nearby Ventana Mountain Bike company. 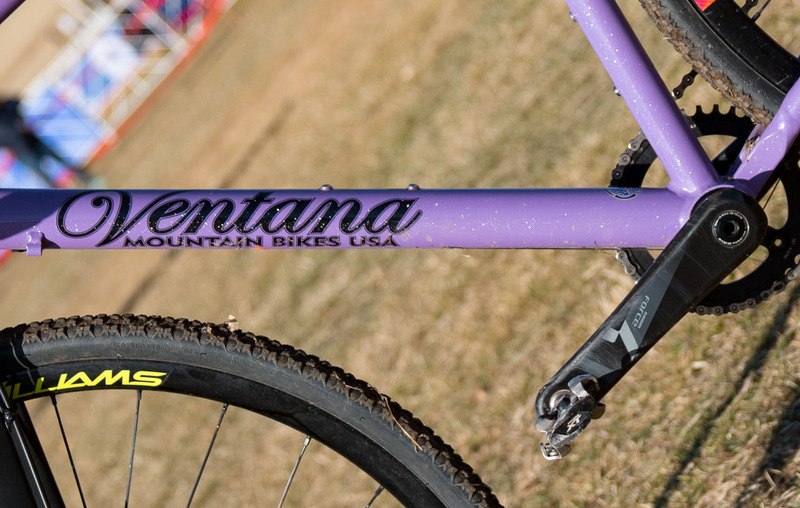 Much of Ventana’s business is as an OEM for other brands, so its name might be unfamiliar to folks outside of NorCal. 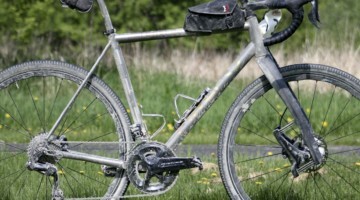 Ventana has a long history of building aluminum alloy bikes. 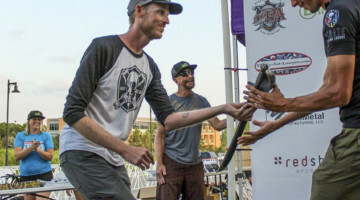 The company currently fabricates frames for Squid Bikes (including Sammi Runnels’ $quidcross), and it has also done work for brands such as Specialized, Felt, Santa Cruz and Kona. 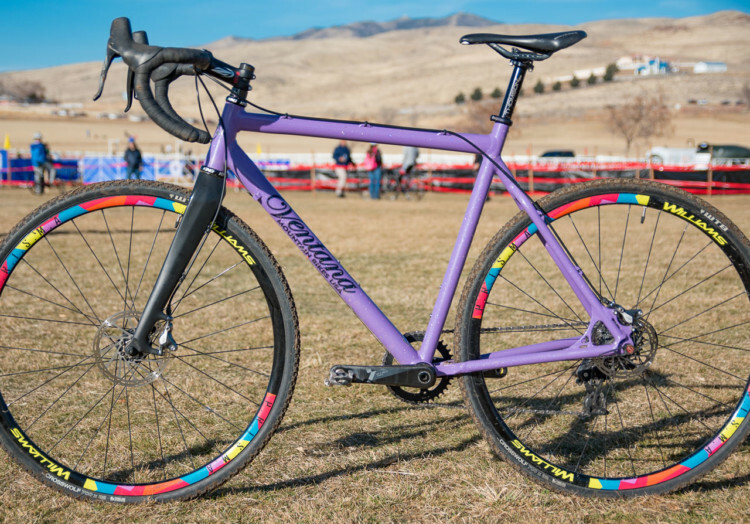 One of the alloy bikes Ventana makes is the El Martillo CX, and today we are looking at the purple model Crockell rode at Reno Nationals. 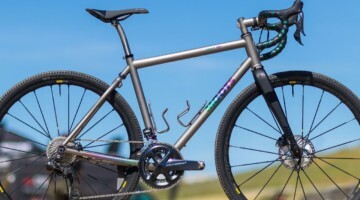 Ventana does its manufacturing in-house, so customers can build their bikes with several levels of customization, including geometry as well as paint color. In Reno, Crockell rode the company’s El Martillo CX frame colored with a metallic purple finish. 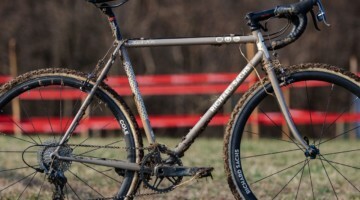 Like all of its frames, Ventana built Crockell’s frame with TIG-welded aluminum double-butted tubes custom drawn and shaped for the frame. 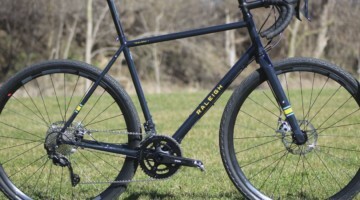 Ventana designed the frame with a 12x142mm rear thru-axle and IS mount for the rear disc brake caliper. 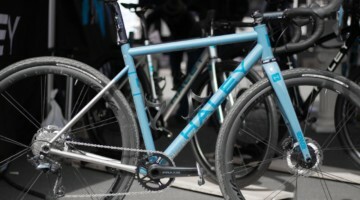 The front full carbon fork had post mounts and a quick release front axle. 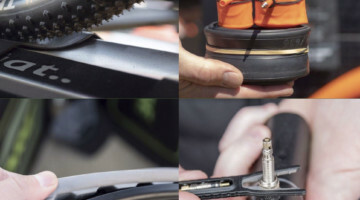 The frame’s externally tapered head tube necessitated the use of external upper and lower headset cups, which contrasts with the internal upper bearing braces that can go with a straight head tube and tapered steerer. 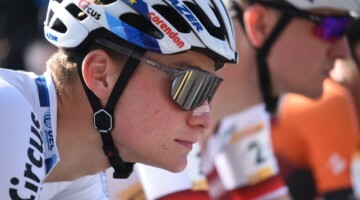 Crockell used Chris King headset cups, opting for the external taper-specific version of the NoThreadSet with her full carbon tapered fork. 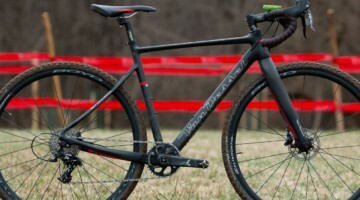 Ventana’s stock geometry is different from some contemporary cyclocross bikes we’ve looked at. 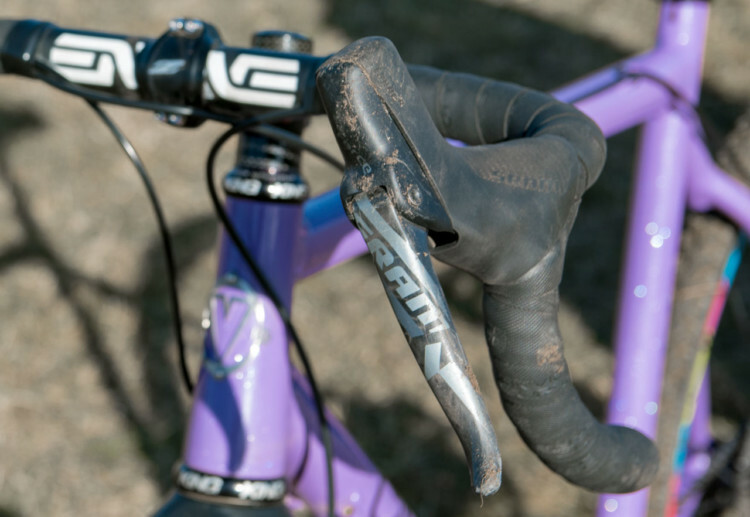 The front is slacker than most with a 70.5º head tube angle and a 47mm fork rake on Crockell’s size medium producing a trail measurement of 73mm with her 32mm tires. 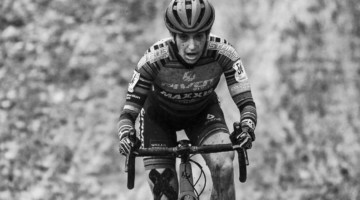 Crockell used a complete SRAM Force 1 hydraulic groupset with 175mm SRAM GXP crankarms, which are somewhat long for the 5’9” racer (although 14x National Champion Katie Compton has used long cranks for years). 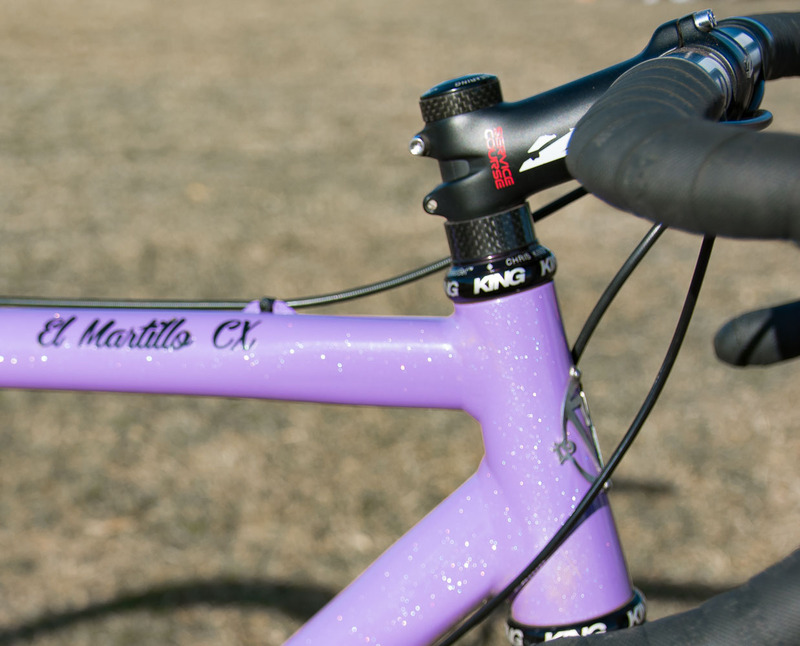 The El Martillo uses a PF30 bottom bracket, which required Crockell to run a Wheels Manufacturing conversion bracket with her GXP crank. 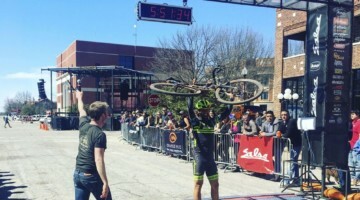 Crockell stopped her bike using post mount SRAM Force HRD calipers. 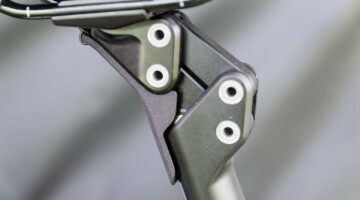 An adapter attached the caliper to the frame’s rear IS mount. 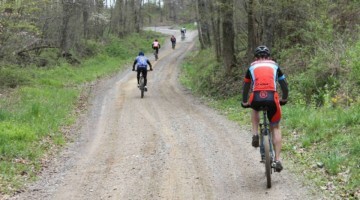 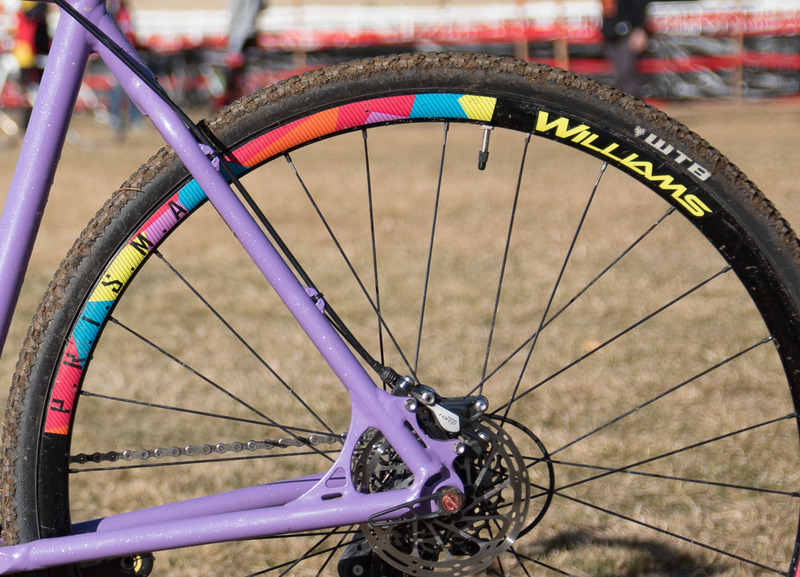 Crockell raced on Williams Prisma tubeless wheels with WTB Cross Wolf tires she ran at 18 psi front and rear. 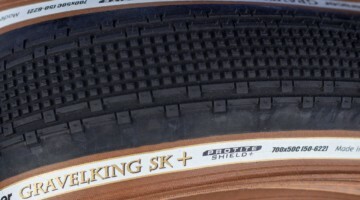 The wheels featured 6-bolt rotors and 28-hole, 3x spoke lacing for durability, and Williams sells them with quick release and thru-axle end caps to fit Crockell’s front quick release, rear thru-axle setup. Williams sells its wheels with season-themed decals, and Crockell chose the summer color palette to go with her purple frame. See the specs and photo gallery below for a closer look at Hope Crockell’s purple Ventana El Martillo CX bike she raced in Reno. 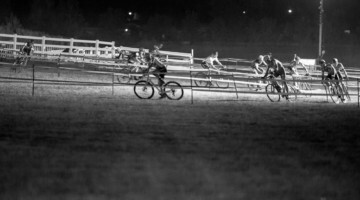 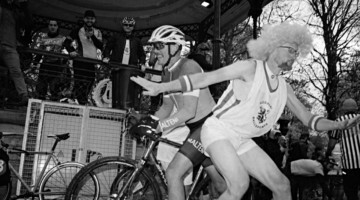 For more Nationals rides, see our growing Reno Nationals bike profile archive.